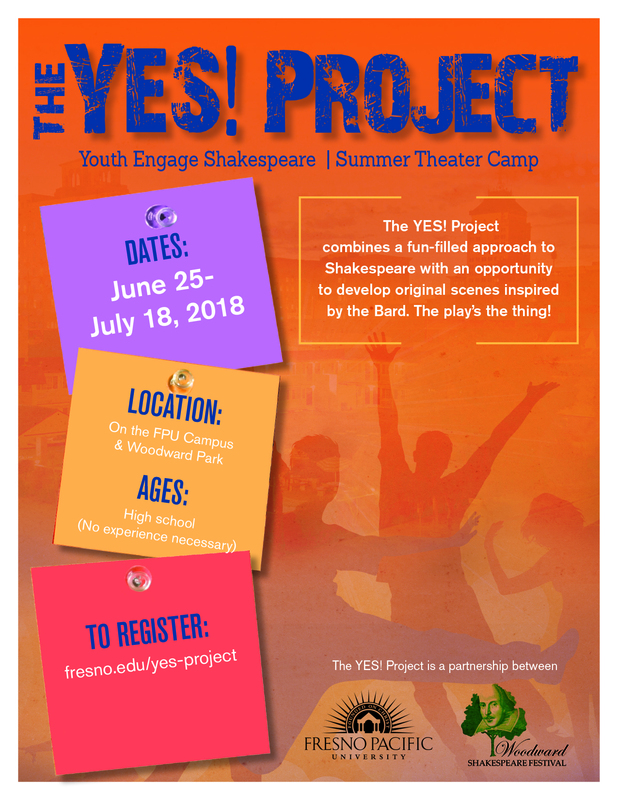 WSF partners with Fresno Pacific University to host local teens for a 3 1/2-week summer workshop exploring Shakespearean style and devising original material based on a Shakespeare play. The workshop is open to all high school age youth: in high school, entering, or having just graduated. No prior Shakespeare or theater experience necessary, just an adventurous spirit and willingness to play! 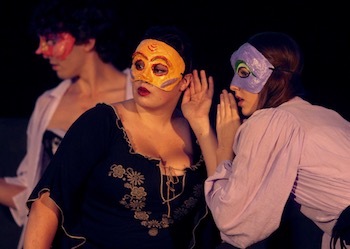 We play games together, practice Shakespearean style, learn scenes and explore our creative voices by devising original scenes in response to the play material. Workshop sessions are on the FPU campus (weeks 1-3). The workshop ends with a performance on the Festival Stage in Woodward Park (Wednesday of week 4). June 25th – July 18th, 2018. 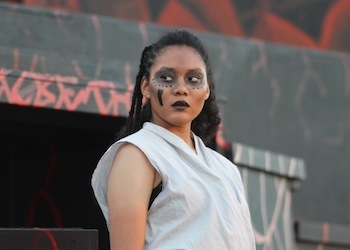 Performance July 26 at 7:30pm at the Festival Stage. Julia Reimer, Project Director and Facilitator — Julia has a PhD in Performance Studies and an MA in Applied Theatre. 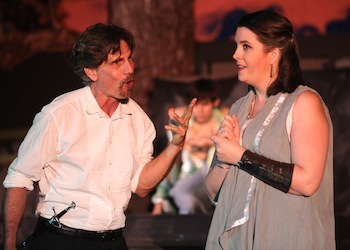 She directs and teaches in the Theater program at Fresno Pacific University. Contact Julia Reimer for details.